Dr. Stephen Wangen, co-founder of the IBS Treatment Center, has been successfully helping people resolve irritable bowel syndrome and chronic digestive problems since 1999. This success culminated in the 2005 opening of the IBS Treatment Center, the first clinic in the nation to focus solely on addressing this debilitating condition. In conjunction with the new clinic, Dr. Wangen also released his first book, The Irritable Bowel Syndrome Solution. 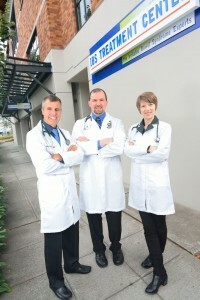 Over the years the IBS Treatment Center has cared for a wide variety of patients. Some patients have had IBS symptoms so severe that they spent a considerable amount of time in the hospital. Others are simply frustrated with the impact that it is having on their lives. The thread that tied them all together was that they had never seen an IBS expert, nor gotten the right kinds of testing and treatment to identify and resolve the issues causing their IBS. The IBS Treatment Center is proud to have cured thousands of these patients. Although the clinics are located in Seattle, Washington and Santa Monica, California, patients come to us from around the country and the world. Over 50 million people in the United States suffer from IBS and many people will travel to have this condition properly addressed. Patients have come from every state in the US other than South Dakota, and from every occupied continent on earth!